They are coming for us…BE READY! SLEEPER SOFAS are 10% OFF THIS WEEKEND! but $895 takes it home this weekend! 80″W. We love the curvy lines in this profile upholstered bed in grey! King size, $525. Sorry, club chairs are sold. We are all mesmerized by this HUGE bronze cage chandelier, $795! Your foyer will never be the same! 28″ high X 22″ diameter. a score for $325 48″ wide. Sorry, abstract art is sold. $125 each! Not sold separately. Two-toned spindle leg console, $202. 48x16x29. This aqua sofa belongs at the beach! We are all DROOLING over this EXTRA LARGE ivory beaded chandelier for $695! Perfect for your coastal home. table and 6 stools, $995! Don’t forget…all SLEEPERS are 10% OFF this weekend. warm cherry, a score at $795! 92x42x29.5, Includes two 15″ removable leaves. Need a new sleeper? How about a pretty dove grey one? Brand new queen for $995…just $895 this weekend! in a silvery bronze finish, $595. Beautiful Stanley queen wicker bed, $595. Useful and cute black cabinets, $52 each. This NEW tweed chofa has so much versatility! Butler style coffee table in warm cherry, $145. King tufted bed in ivory, $495! West Indies style dining set, a STEAL at $795. 48″ diameter. Pretty carved coffee table by Lexington, $265. In Pantone color of the year…’Greenery’. to buy anything you see with the click of a button! we’ve got you covered with rEVOLVE. rEVOLVE is our handmade line of jewelry that gives back to Wilmington, NC non-profit children’s art program DREAMS. Effy collection for 30% to 60% off of retail. 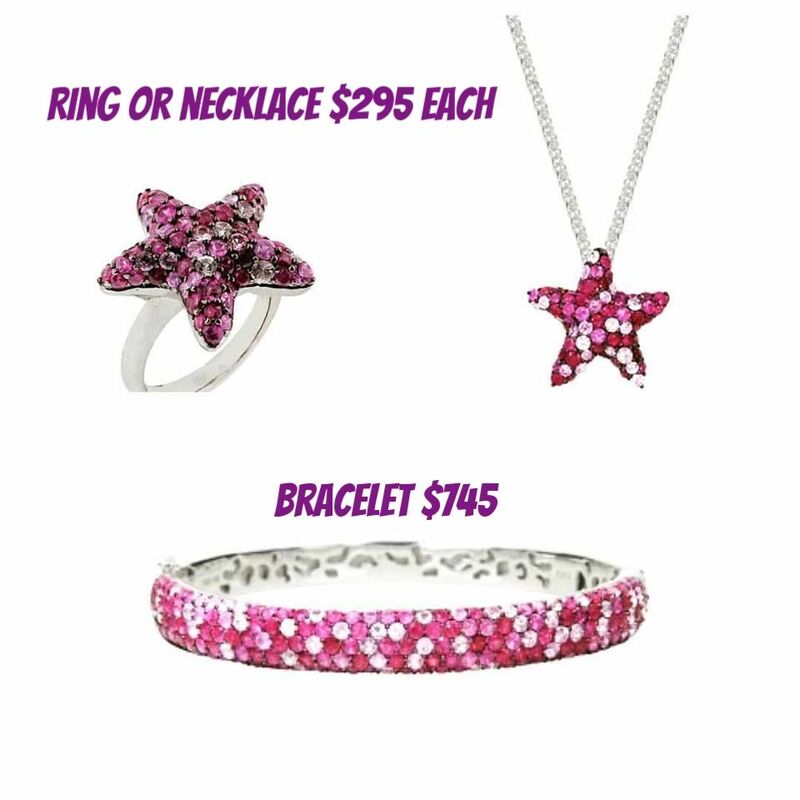 Click on the picture to order online. 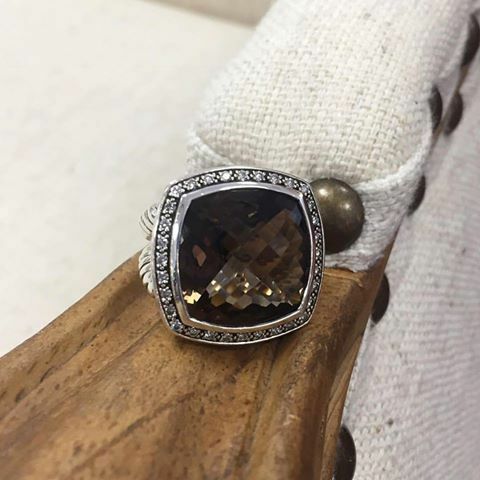 David Yurman ring just reduced. 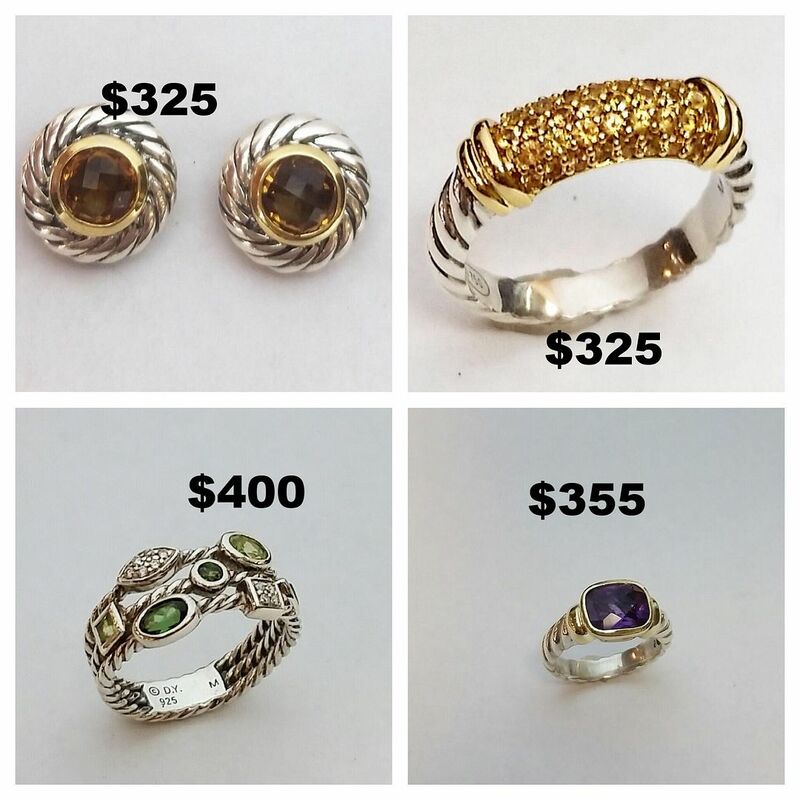 David Yurman pieces under $500. 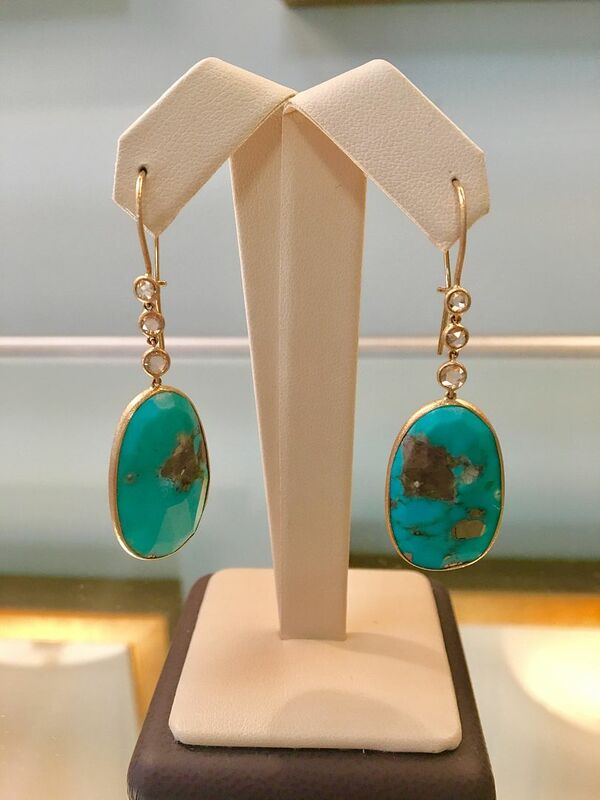 Click here to see all David Yurman in stock. 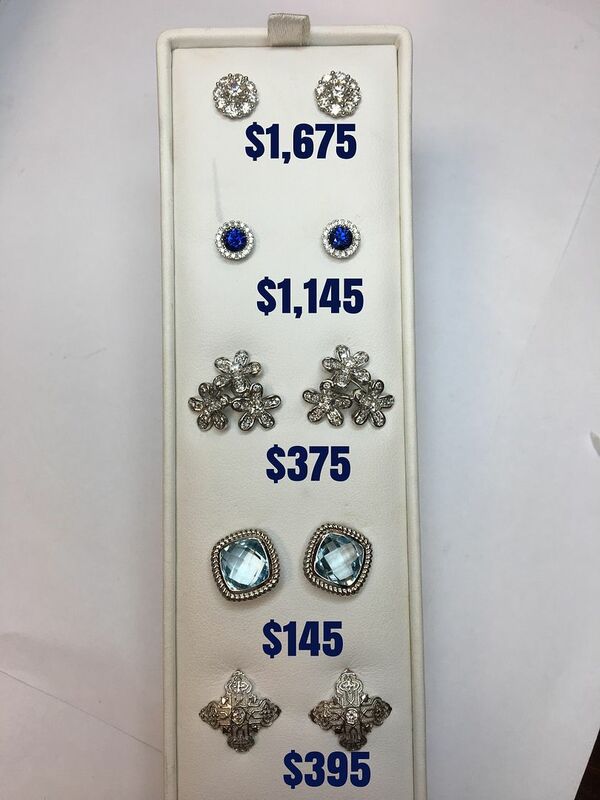 These studs are such a great deal. 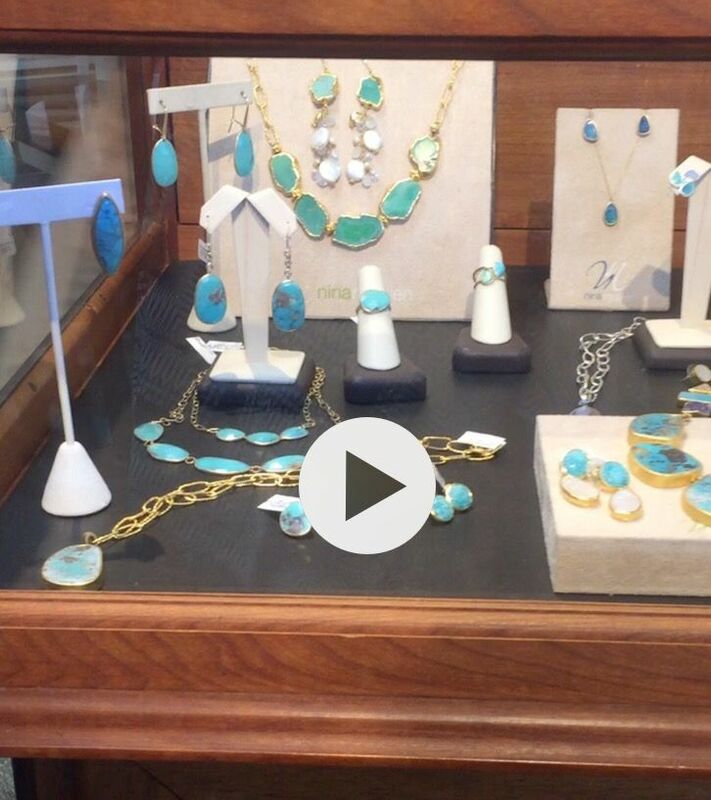 All set into 14kw gold featuring diamonds, sapphire or blue topaz. 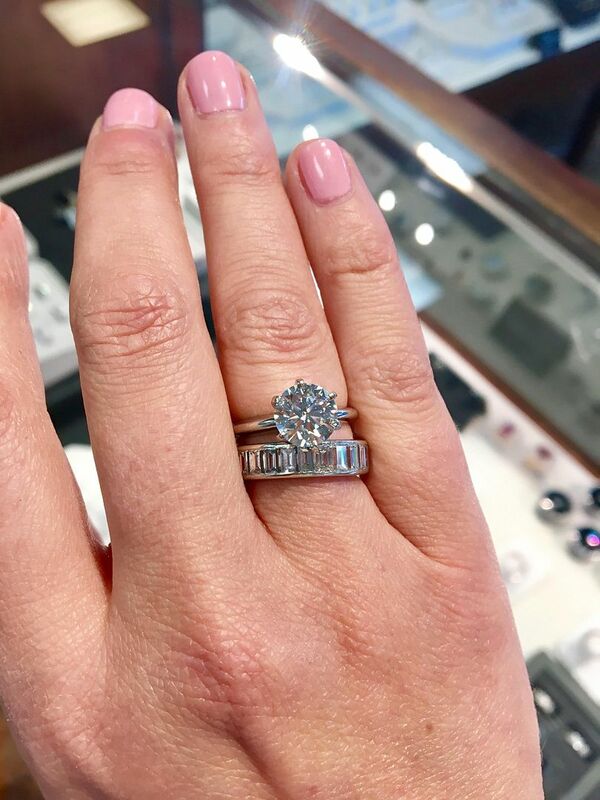 2.01ct G color SI2 calrity GIA certified # 1102359340 round diamond in a platinum solitaire $22,995. Was $7,995 Now only $4,195. Antique style pieces have so much .65ct H color VS1 clarity old European cut diamond in an antique .25ctw platinum $2,995. 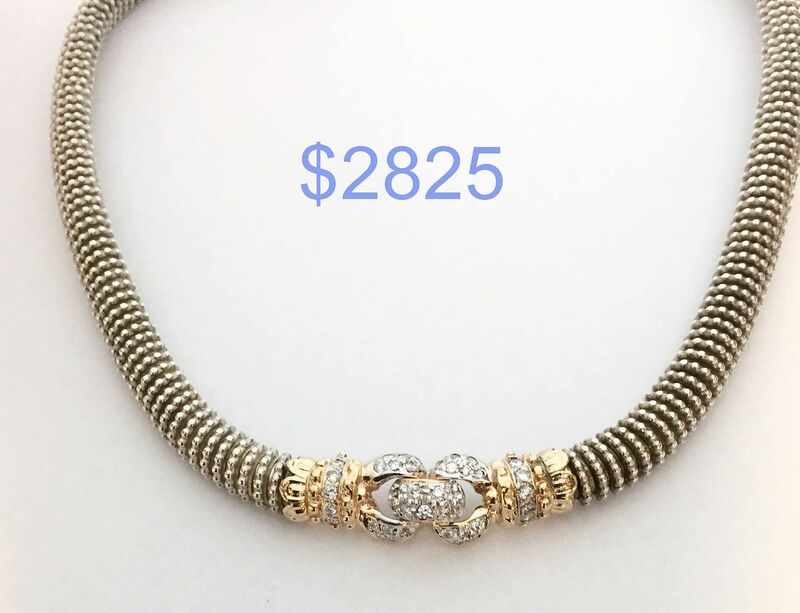 Raymond Mazza 14kw gold necklaces for an unreal price. Pearl necklace $350. 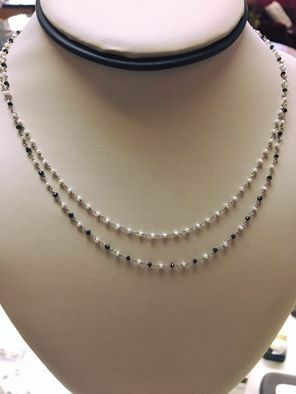 Black diamond and pearl necklace $495. 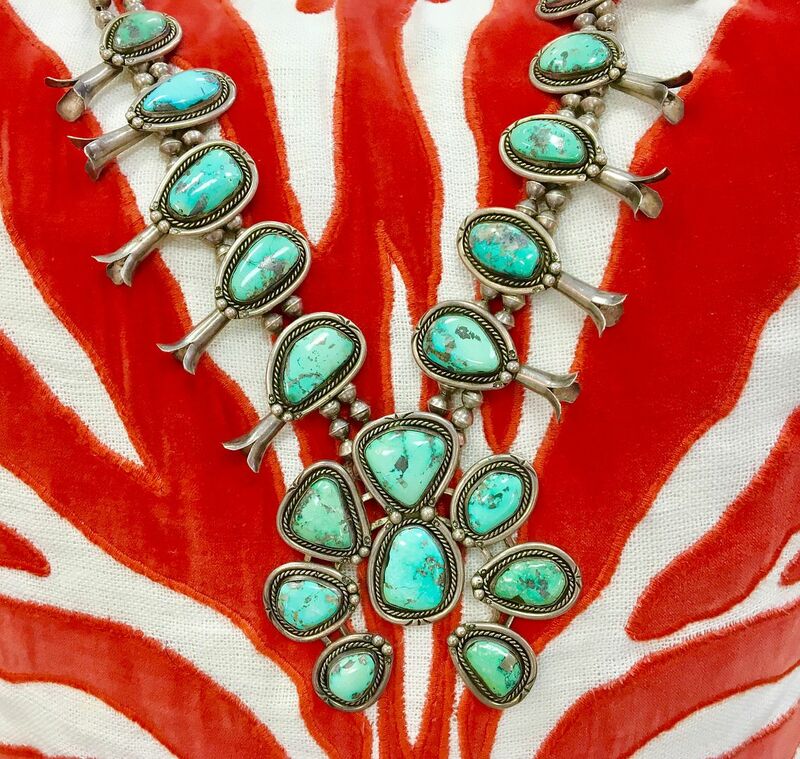 Step into Spring with this turquoise authentic squash blossom sterling silver necklace $1,195. one-of-a-kind pieces and save 20% off. The Nina trunk show pieces are going back March 1st. This precious Nina piece is signed by the artist herself. The cuff is hand rolled and florentined with 14ky gold with Australian blue opal set into one side like a sunburst and also set into the ends making this cuff reversible. This lovely piece is a one-of-a-kind and priced to sell at $2,395. 14ky gold with rose cut diamonds in a dangle $1,765. The deals just keep coming! This emerald you must see in person. We have this 4ct emerald trillion priced at an incredible $1,995 set into a 14ky gold slide pendant. 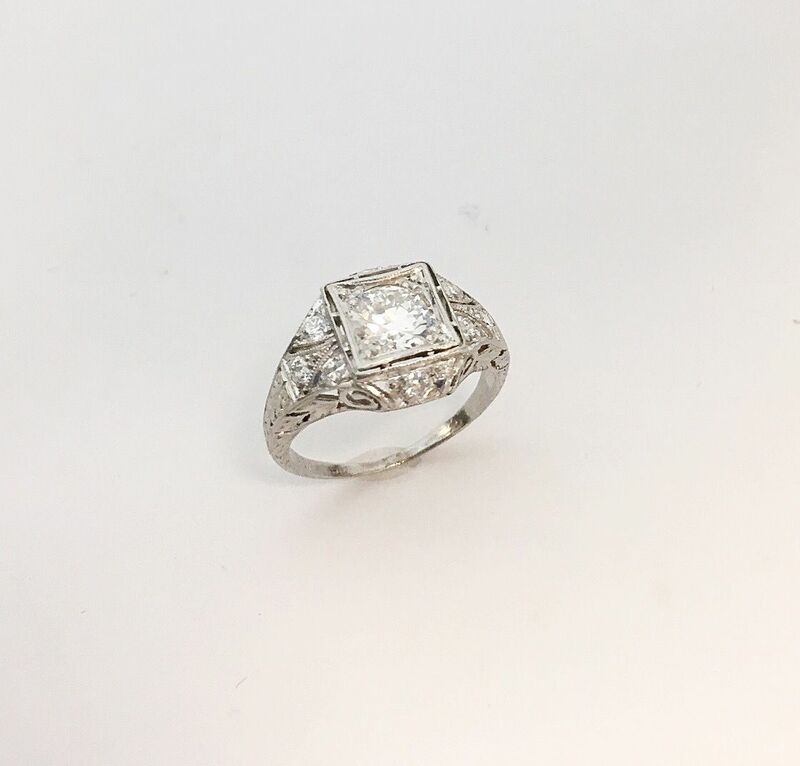 We would love to help you redesign this lovely piece into a heirloom piece. Diamonds by the yard in 14k rose gold, 22 inches $875. 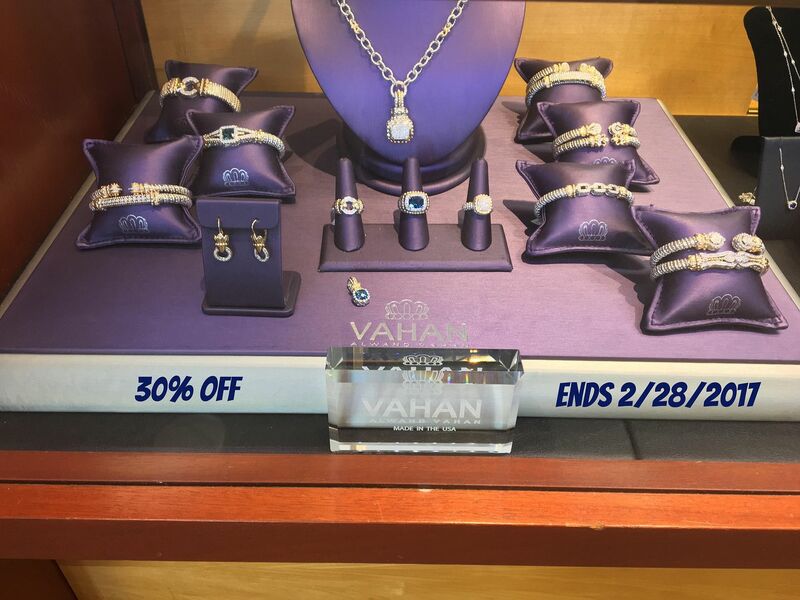 Wilmington, NC consumers have embraced our exclusive jewelry line Alwand Vahan and we want to thank you! 30% OFF ends this month. priced 50% off of retail. 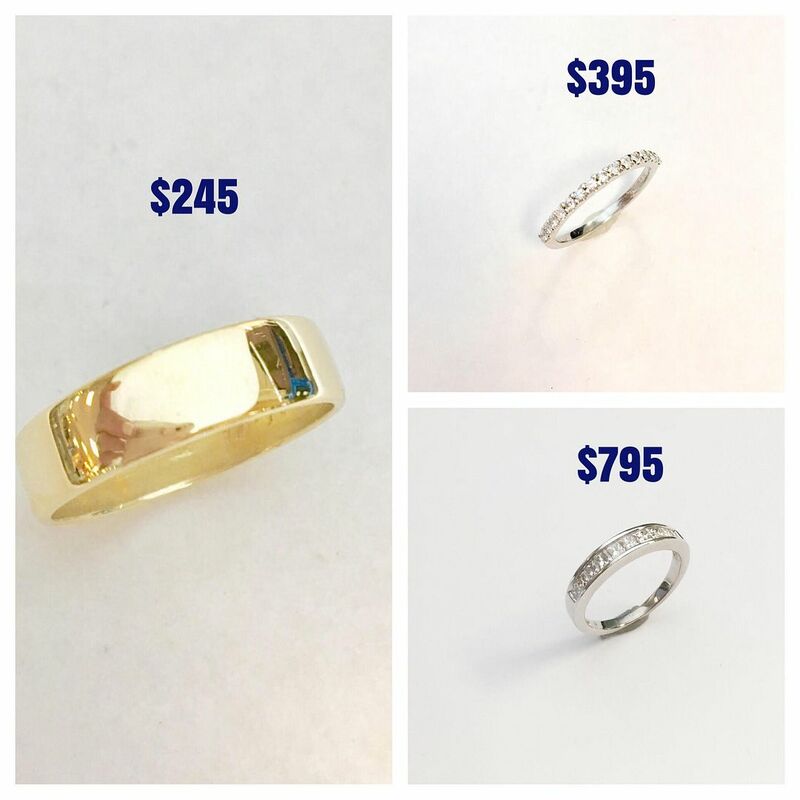 Looking for a wedding band? Stacking is the new black. We have them in all shapes and sizes in our new bridal section. Yes! What you are seeing is really real. 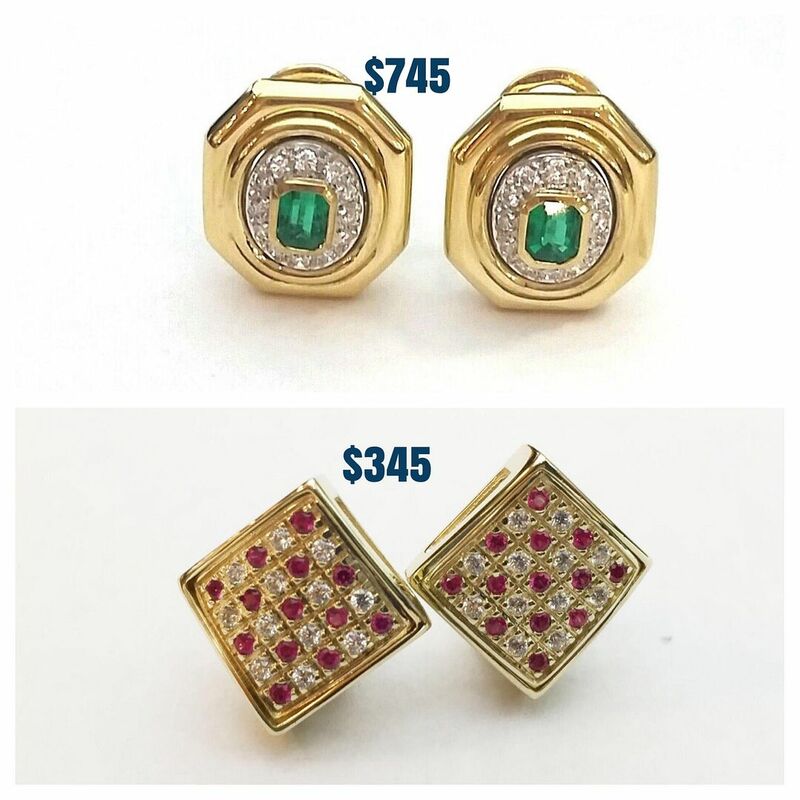 Emeralds and diamonds set into 18ky gold omega back earrings. Rubies and diamonds set into 14ky gold omega back earrings. Recently reduced by the consignor. 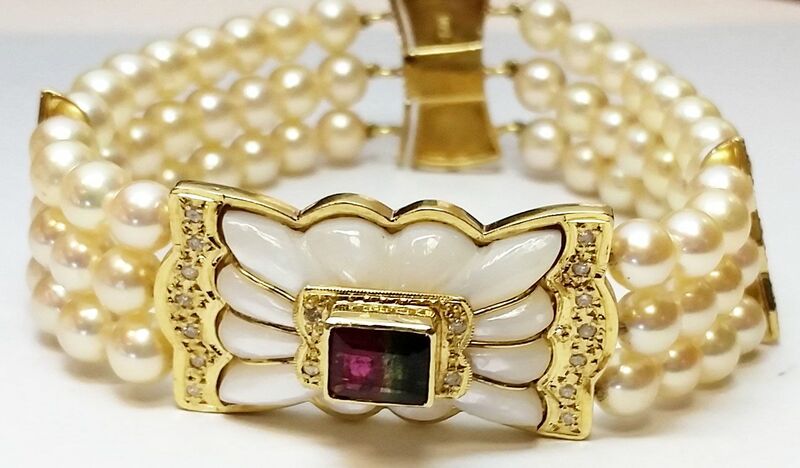 A custom made .93ctw bicolor pink and green tourmaline accented with diamonds and mother of pearl set in 18k yellow gold pearl bracelet, 7.5 inches. 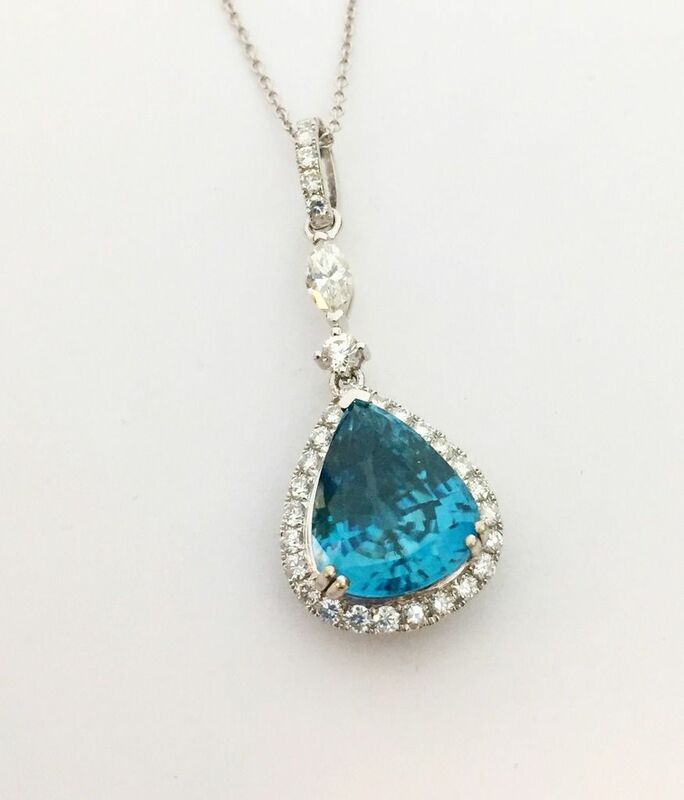 Michael Christoff 11.08ct BLUE ZIRCON accented with 1.04ctw diamonds in 18kw gold, 18 inch necklace. HOT DEAL $3,895. Want to know more about Zircon? Click on the picture. 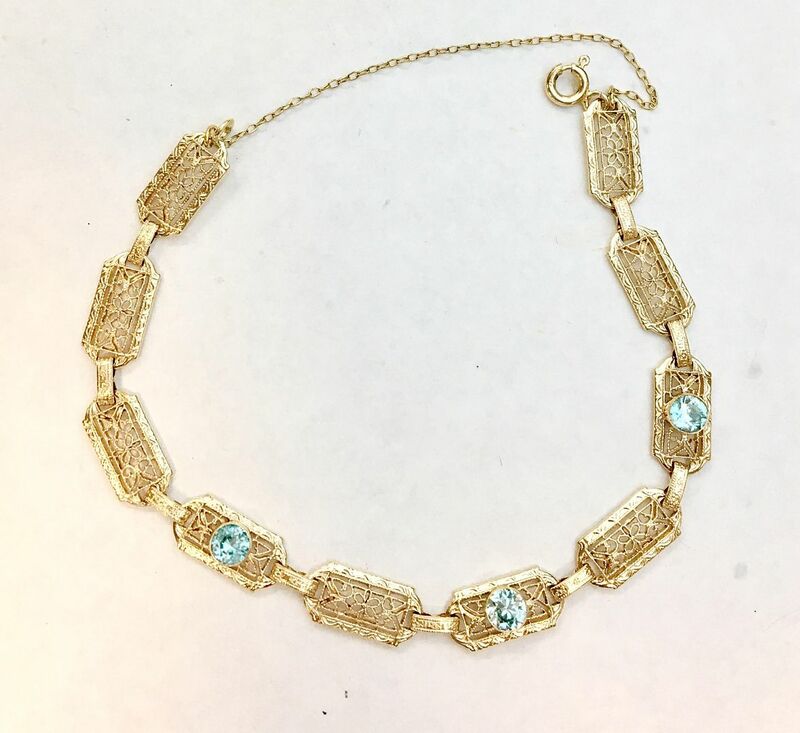 Antique filigree blue zircon bracelet, 7 inches $495. 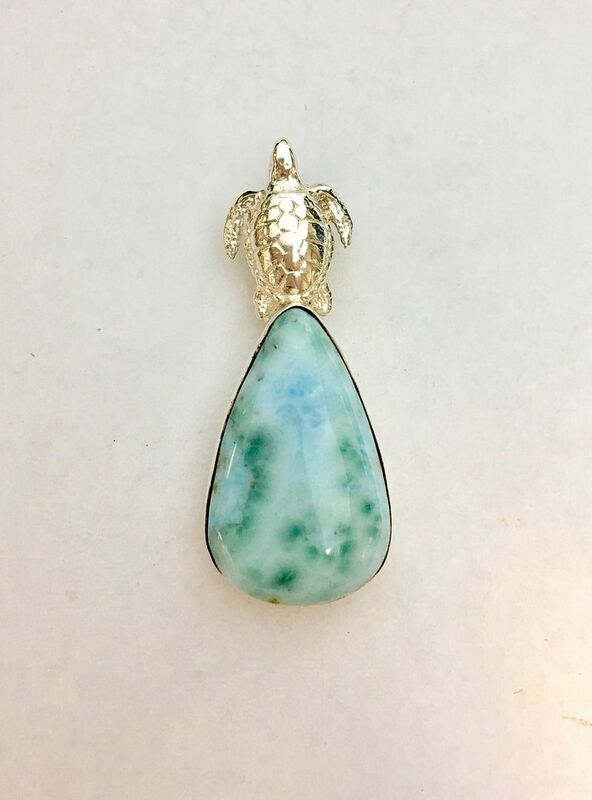 Larimar set into a sterling silver sea turtle pendant $145. Get to Home Again & Lumina Gem!